Home / Uncategories / SPAIN DEPORTED 23 NIGERIANS FOR VARIOUS OFFENCES. SPAIN DEPORTED 23 NIGERIANS FOR VARIOUS OFFENCES. 23 Nigerians landed in Lagos on Tuesday morning after being deported from Spain for various criminal offenses. 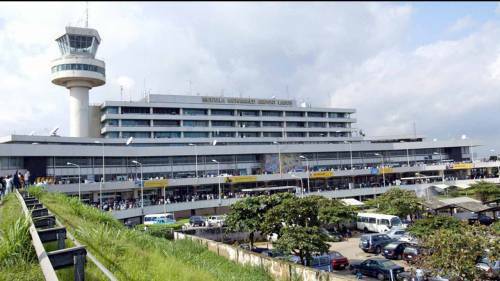 Airport correspondent reported that nine of the deportees were involved in drug-related offenses and were immediately handed over to the National Drug Law Enforcement Agency (NDLEA) as they landed. Two others were deported for non-drug related criminal activities and were handed over to the Nigerian police at the airport command. The remaining twelve deportees were repatriated for immigration-related offenses. They were allowed to leave the airport after being profiled by officials of the Nigerian Immigration Service (NIS) at the Lagos Airport. Deputy Superintendent of Police Joseph Alabi confirmed the development to our correspondent, stating that the deportees were received by officers of the Nigerian Immigration Service (NIS), the National Agency for the Prohibition of Trafficking in Persons (NAPTIP) and the Nigeria Police Force. Other agencies that received the deportees were officials the Federal Airports Authority of Nigeria (FAAN) and the National Drug Law Enforcement Agency (NDLEA) attached to the Lagos airport. One week ago, Libya, with assistance from the Nigerian embassy in Libya and the International Organisation for Migration, returned 175 Nigerians from the North African country. In all, 232 Nigerians have been repatriated from different countries in the last one week.